In September Tracey Cramond became the millionth finisher of the Great North Run and next month she will trace the roots of the iconic half marathon by making a trip to New Zealand to run the Round the Bays race. 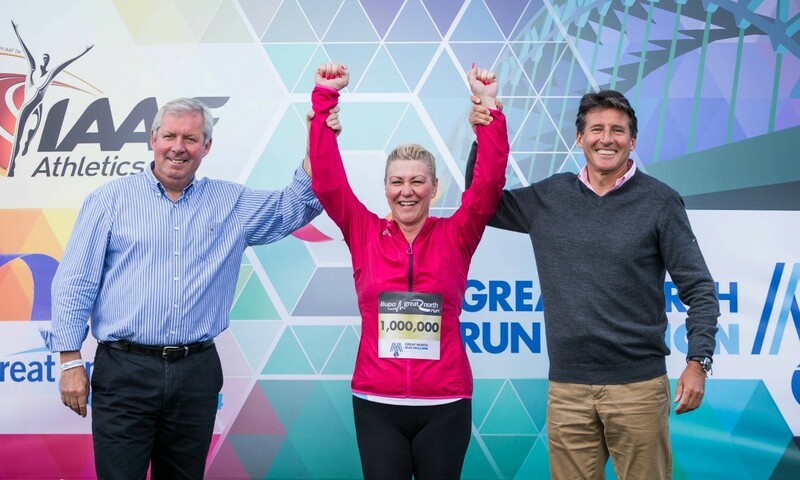 It was while training in New Zealand in 1980 that Great North Run chairman and co-founder Brendan Foster took part in the 70,000-strong event in Auckland and vowed to create a mass participation run in the North-East of England. Now, 35 years on, the Olympic medallist and European and Commonwealth champion is honouring his pledge to send the millionth finisher to run Round the Bays on March 8, with the idea having been suggested to Foster on live television by Seb Coe during the countdown to milestone mark at South Shields last year. Cramond has been an active sportsperson all her life but only took up running in 2013 after the death of her mother, Lynn. She completed the 13.1 miles of the Great North Run that year with her son-in law, Danny, and then entered the 2014 event to raise money for Butterwick Hospice in Stockton. She has not taken part in a running event since last year’s Great North Run but has been running three or four times a week in readiness for joining the masses in the 8.4km Round the Bays event. Ahead of last year’s momentous edition of the Great North Run, Mel Watman profiled the on and off-track career of Foster. You can read an extract of that feature here.